Make this your NEW HOME for the NEW YEAR! 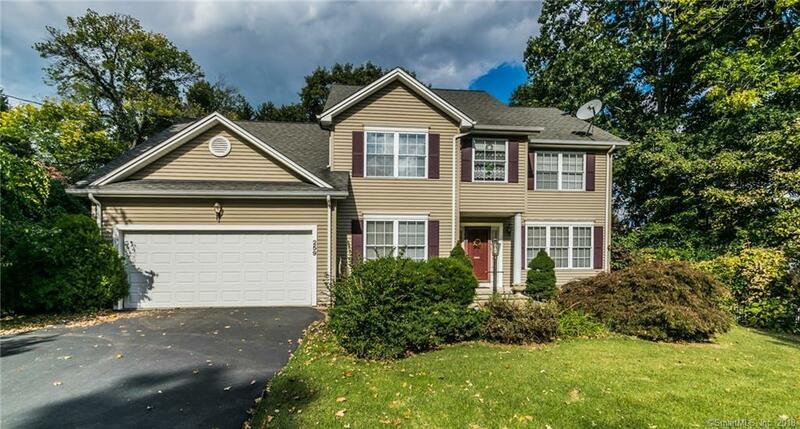 Move right into this impressive, well maintained 4 bedroom 2 and a half bath colonial. Kitchen with island is open to the breakfast nook and the family room with fireplace perfect for the holidays. Cozy up with a good book this winter. This offers a formal dining room and formal living room as well as a first floor den. Slider from family room to a cement patio with retractable awning. There is a large, quiet backyard, great for endless entertaining in those warm summer nites. Hardwood floors throughout. An impressive 2 story entry contributes to the openness of this property. Conveniently located by highways 15 and 95 as well as being close to the train station for commuting. Milford has much to offer with beaches, dining and shopping. Just get the keys and settle in! HOLIDAY BUYER BONUS if sold and closed by 12/31...Don't wait call TODAY!